As another addition to the Miami real estate market, Downtown Doral is a new mixed use project under development in Doral. Situated just north of the Miami International Airport, Downtown Doral is one of a handful of new projects underway in the Miami suburbs. Another benefit of its location is that is adjacent to the world-renowned Blue Monster Course at the Doral Golf Resort and Spa which has just gone through a major overhaul. Bordering the Miami/Doral line, it is a massive undertaking that will definitely put that part of the county on the map. 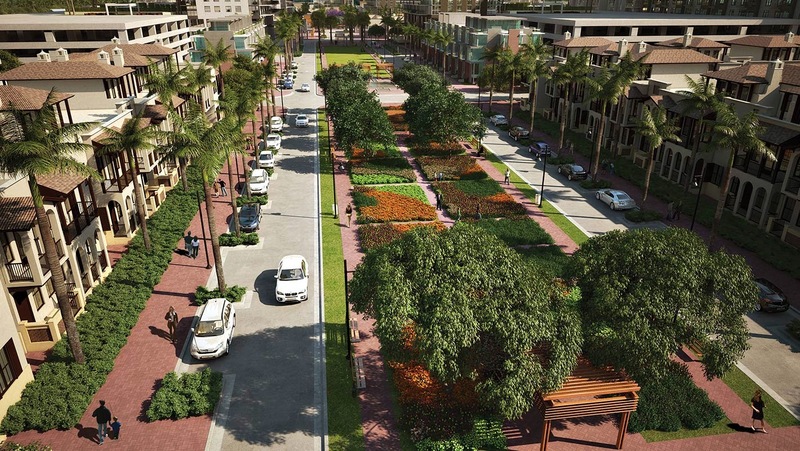 According to Armando Codina, President and CEO of Flagler, "Downtown Doral will be vital to Doral because it is creating a true city center which will allow people to live near their work, an option that Doral has been longing for.” The plans for Downtown Doral include retail, dining, office space and more. Additionally, there will be four and a half acres of green space as well as three miles of pedestrian-friendly streets. The goal of Downtown Doral is to give residents that cozy, small-town atmosphere within a large metro area and is destined to become one of the most sought after areas in all of the Miami real estate. “This is not a project, this is a city,” said Codina in a recent article. 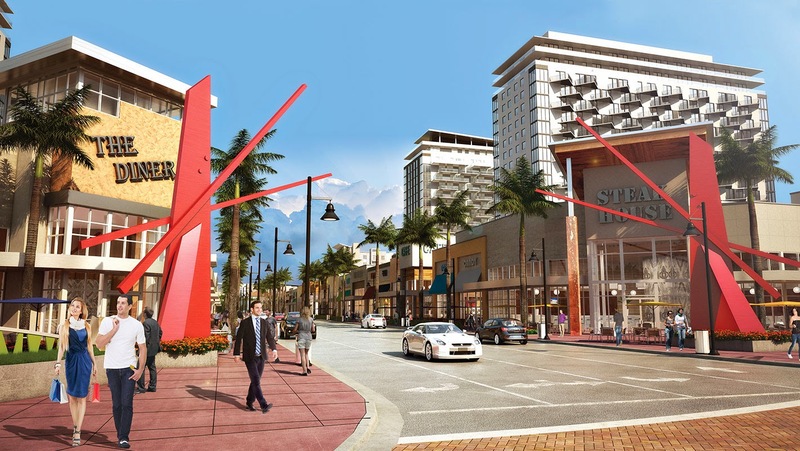 Along with a strong focus on residential properties, plans show retail space and over one million square feet of office space, developers expect that corporations, small businesses, top retailers and restaurants will open or relocate at Downtown Doral. With the Doral Government Center close by, this is going to be an area to watch. On top of the commercial development, there will be 2,840 upscale living units of which over 2,100 condo units are spread among eight or nine condominium towers, each up to 20 stories along with three apartment buildings with 454 rental apartments and 90 townhouses. The Townhomes at Downtown Doral. More than just a townhome, the Townhomes at Downtown Doral exude throughout the entire home. From the gourmet kitchen with European custom cabinets, granite counter tops, Energy Star certified stainless steel appliances and a work island with raised breakfast bar and a roomy breakfast area to the marble tile in the main living areas and marble framed window sills throughout the entire home, there is so much to take in with this community. 5252 Paseo. The condominiums at Downtown Doral, 5252 Paseo, feature one, two and three bedroom units with high-end finishes. Some of them include a gourmet kitchen with quartz counter tops, Bosch stainless steel appliances and designer Italian kitchen cabinets. The first 18 floors will house condominium units while the top two floors will house six penthouses on each floor. Every unit will be accommodated with one assigned parking space with the penthouses receiving two spaces. 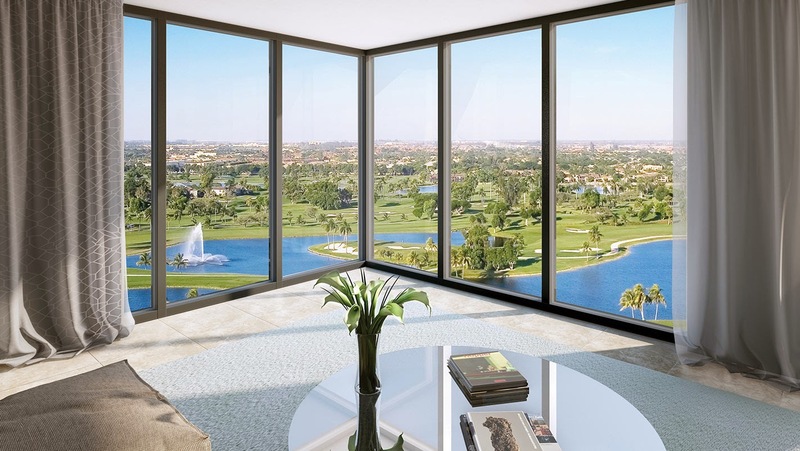 Every unit will have amazing paseo or golf views. Cordoba Apartments. When it comes to upscale rentals, Cordoba will exceed any expectation. The plans show fully green eco-friendly homes with high efficiency HVAC systems, thermal comfort windows for temperature and humidity control, gourmet kitchens with Energy Star stainless steel appliances and modern cabinetry, energy efficient contemporary lighting and so much more. Downtown Doral offers beautiful amenities that include an exotic, resort style outdoor pool with private cabanas, large parks and green spaces, 24-hour security guard at the gated entrance, and more. Plus, the Doral Golf Resort and Spa is a huge community amenity and is adjacent. There are different real estate options at Downtown Doral each appealing to a different buyer but accommodating all buyers and renters. The Townhomes Real Estate. There are two main floor plans which offer several options and range in size from about 1,800 square feet to almost 2,000 square feet. The two-story townhomes have several options to accommodate buyers’ needs. Plans show a choice of two master suites, a master and two guestrooms or a master suite, guestroom, and an upstairs loft or home office. Additionally, another option adds a third floor to have the options of a loft, family room, or large guest suite as well as a large top floor deck that accommodates an outdoor living/dining area which is perfect for living in Florida. 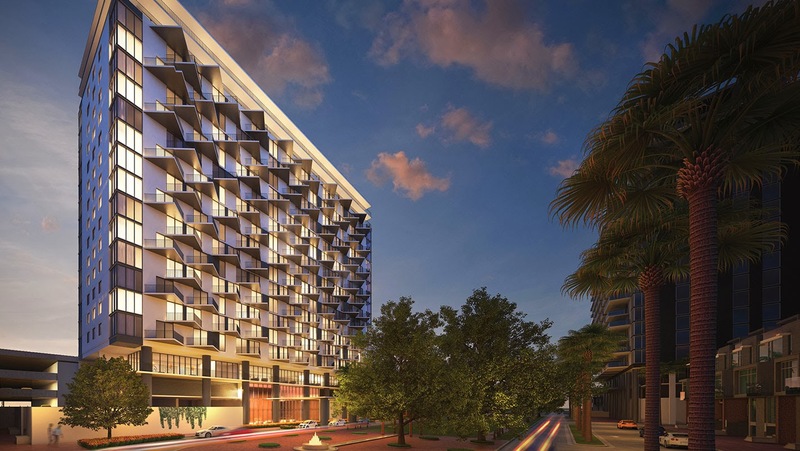 Downtown Doral is a project that is screaming to be brought to life. Its location and attributes are second to none. 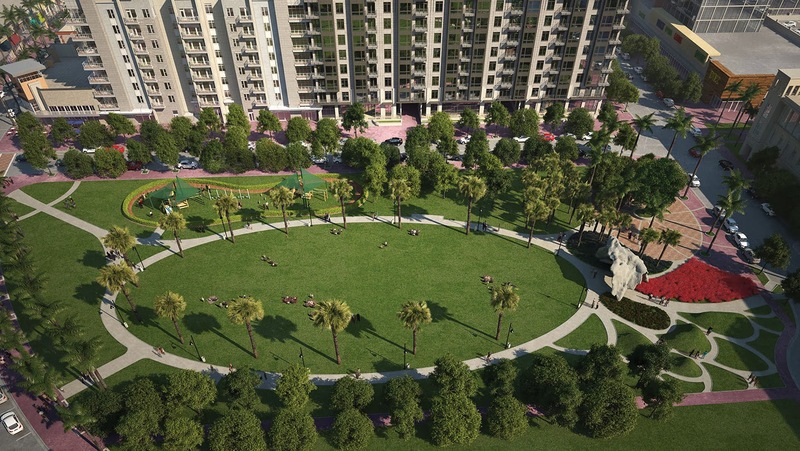 The combination of green space, residential and residential development appeals to so many residents that it will be, without a doubt, a top spot in Doral to live. This is definitely an exciting time in Doral.